Adrienne is in her 3rd year of her MD/PhD program and things are getting easier. She’s the mom of 3, an Army Vet, and an amazing example of striving for your dreams. She has done the first two years of med school and now she’s in the first year of her PhD portion of the grad school. She shares her story, struggles, and successes along her journey. Find Adrienne on Instagram @ssg.to.mdphd. If you haven’t yet, check out the newest addition to MedEd Media Network – The MCAT CARS Podcast. 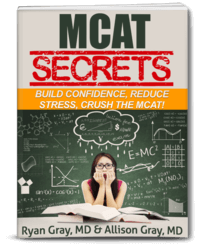 This will help you score higher in every section of the MCAT. Adrienne wanted to be a doctor since she was 8 years old. She was a big reader as a girl and is fascinated by the conjoined twins surgery. She grew up in a single parent household and her mom worked multiple shifts to take care of her and her brother, still struggling financially. She got inspired by Ben Carson, the famous neurosurgeon turned politician. There’s a film about him being played by Cuba Gooding, Jr., a good story that every premed should watch. Being a minority, seeing someone who can represent you from the same background is something huge. When she was 16, Adrienne was starting to look at college and was a good student but her mom would just look at her with defeat since she can’t afford to send her to school. So Adrienne joined the Army when she was 17 so she could pay to go to school. She was actually more motivated to accomplish her goals than she was intimidated for joining. She’d describe it as a fun experience doing the basic training. The hardest thing for her was the physical training. Nevertheless, she had a great time as long as she just stayed out of trouble. When you’re looking to join the military, you’re signing up for several years. Her first was four although she was told they were required to do 8 years (4 active duty and 4 inactive, where they can just call you back at any point). This is actually the same for the HPSP program, which I enrolled in. Adrienne was in military intelligence where she works on drones which she finds really fun. The military plans things in advance and they have very detailed training calendars. So she’s used to being able to plan long-term and stay focused on the plan. Another key is discipline. Adrienne admits she ended up loving being an Army. She initially signed up for four years but she ended up serving for ten. She knew her unit was short-handed that’s why she enlisted again so that when they were ready to re-deploy, they’d have enough personnel to carry out their mission. Moreover, she loved being developed into a leader. For her, it was a difficult decision to separate and go back to her original goal of pursuing medicine. Eventually, she knew it was time. After ten years of service, she didn’t really want to separate, having made all kinds of relationships. She felt like she was leaving her soldiers behind and not being able to mentor them and work with them was difficult for her. But she knew that dream of becoming a physician didn’t go away so she knew she had to do it. Adrienne met her husband in the army. They started dating in 2004 and got married in 2008. They have three kids. She separated from the army back in 2013 when she was pregnant with her son. So she went back to school pregnant and pursuing science. Being a mom in this new environment made her feel so different, being a veteran and older than everyone. Not to mention she has this whole life she’s responsible for and then you’re growing a person. But Adrienne is a planner so she thinks about things ahead of time. She talked with her instructors, she took her midterms early because she knew the baby was coming. She then got back to school six days later. Their initial plan was for her husband to stay in the military until she graduated from medical school. But he didn’t do it. So she had her GI bill, which she used for undergrad. Then she got a Pat Tillman scholarship in 2014 that helped her focus on school and tend for her family. This also allowed her husband to separate and go to school. Pat Tillman used to play for the Arizona Cardinals and then he joined the military and was killed by a fratricide. Fratricide means friendly fire. It wasn’t an enemy bullet. A foundation was created in his honor, the Pat Tillman Foundation, where they select veterans and veterans’ spouses, or active duty service members that are pursuing education and provide them with scholarships. Their scholarship has 7500 applicants and only select 58-60 people a year. When you apply to medical school, there’s no easy way to know where you’re going to go. It’s a hard thing for a lot of people to hear you should wait for 3-5 years until your significant other separates. Nevertheless, Adrienne and her husband were willing to take on the challenges. So they’re both in school and they’ve got three kids, whom they homeschooled. They have a detailed, color-coded calendar that goes to every electronic device in her house. Everyone in the house knows what’s going on in any given day. Her girls are now pretty independent with their schooling so they can do lessons on their own throughout the day. Then when either she or her husband gets home, they check their work or answer any questions they may have. While their son is in first grade so he’s doing simple reading, math, writing. His lessons taking about 2 hours. The girls take five hours to do their lessons with breaks and lunch. Adrienne’s mother helps them around the house, taking care of the day-to-day stuff and making sure they get started on the lessons. Her mom is disabled so she’s on social services and can’t afford to live on her own and she doesn’t drive. Because of this, they’ve been taking care of her for seven years. Her kids are aware she goes to school everyday and she’d sometimes bring them to campus so they’d have an idea of where she is whenever she loves her house early in the morning. She stays on campus until 5 or 6 and then goes home. She’d then spend time with them until she goes to bed. Adrienne has been out of college for over ten years so she was a little over enthusiastic. She took several science classes in the summer semester. She learned that she had to put more effort if she wanted to get the grade she wanted. And once she learned that, each subsequent course became easier for her. She did double major in Biology and Chemistry. She finished in three years but she double-majored since she had the time and she wanted to be more competitive for medical school. For her, the hardest part was the labs, the classes, having to be away, plus working and studying. Adrienne tried to make sure she hit everything she could to be a good applicant so she did in undergrad. She loved it so much she couldn’t let it go. She didn’t even know there was such a thing as MD/PhD until her PI in undergrad recommended it to her. She researched it and applied to medical school. Then she added an extra essay in the letter of recommendation right before she turned her application in. Furthermore, she felt the PhD was needed to be able to answer complex questions in her head. Particularly, Adrienne loves microorganisms so she took an MD/PhD in Microbiopathogenesis. She likes bench research and wants to know why we get sick and wants to study these microorganisms. Plus, you have to do it for the right reason otherwise just going that path to have extra letters of recommendation is not worth it. A lot of the spots are also funded so a lot of students do it for the pay. But Adrienne warns it’s a struggle. When Adrienne got her acceptance, she got a letter in the mail for medical school and then a phone call for the MD/PhD program. For her, this was a dream realized which she has been hoping for since she was 8. So to see it come to fruition was a huge bust for her that she ran in their yard for 15 minutes upon knowing the result. Adrienne got three acceptances. Going through the whole application process, Adrienne applied to 15 schools for free through AMCAS’ fee assistance program for underprivileged students. When she got accepted into the program, her applications fees were waived and only had to pay half of the MCAT. She also got access to the MSAR as well as some MCAT study materials. She took the MCAT the first time it came out. She applied to MD/PhD only to all schools because she knew that’s what she wanted to do. Out of the three schools that accepted her, she chose Maryland. Adrienne did shadowing, research, volunteering. She had to stack all her cards to make sure she gets in. Adrienne admits struggling at medical school. He had to learn to be more efficient. You don’t have weeks to master materials but only days before you move on to the next thing. It was a steep curve. For her, second year was more difficult than first year. You have the same volume of information and the same expectations but you have more external requirements like into to clinical medicine stuff, exams, etc. – a lot of extra stuff. For MD/PhD, you have to take Step 1 before let you do your grad school. Now that she’s in grad school, they’re still being integrated with med school. While in med school, they do a journal club type thing for the first two years. Once a week, they meet up, discuss papers and things. While in grad school, she had to do 100 clinical hours and then case-control studies where they go over different current medical cases that each student presents throughout the year. Her school did a very good job to make sure you don’t forget either part. They go together. They’re synergistic. You’re not just an MD or a PhD but you’re a physician-scientist. Her classmates are all in the hospital and barely sees them although they keep in touch with each other on social media. She describes it being a difficult transition to go from medical school to grad school for the reason you don’t have that group of people you relied on. But you also have your PhD cohort, so you still have the same people you know are experiencing what you’re experiencing. At their school, they start with their third year of class or do a delayed entry back to medical school up to January 1st, depending on your dissertation schedule. And you have to have your first author paperwork to go back to med school. So depending on when that paper gets accepted, they have a system where you can go back up to January 1st. They prefer you go back with the third years because you get that intro training for the med school. They also have a dean for dual degree students who work with them as they transition back to medical school. Adrienne is very on top when it comes to spending time with their children. She makes sure she’s there every occasion. But that being said, she feels like she’s not being their mother which is so hard for her as well as making sure that their childhood isn’t traumatic because she’s doing this whole process. For her, this was all harder than she expected. She never felt so unprepared, not because of her med school education, or the kids, but the combination of everything together. You only have one shot to take this exam. So it was much more difficult than what she anticipated. There were times she questioned why she did this. In fact, one of her classmates kept a tick mark tracker every time she threatened to quit (just about everyday.) But she points out the support of his family and classmates, rallying around her to make sure they can all get through this hump. She also describes the collaborative environment in their school. First, know the entire process in terms of application, interview, the programs, etc. because you want to know what you’re getting into. Be able to plan through that process. As far as being an applicant, being different is okay because you bring something different to the table than everyone else. 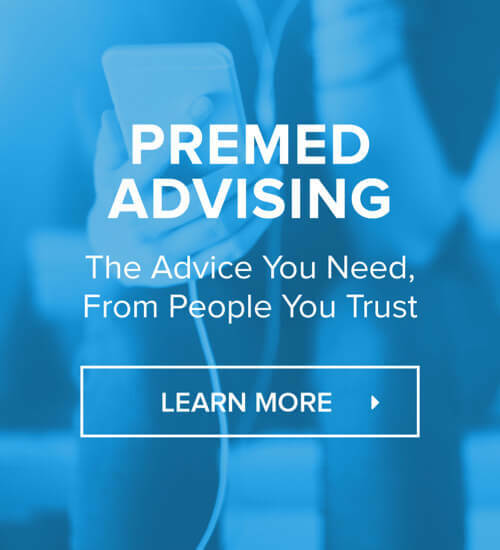 You have experience and insight your patient may need so don’t let that intimidate you. Finally, you can do it! And it’s possible to live your life and pursue your dreams at the same time. It’s a challenge but you can do it. Follow Adrienne on Instagram @ssg.to.mdphd.